Our list of the top five things you need to know about Tesla’s new Model 3 electric car. 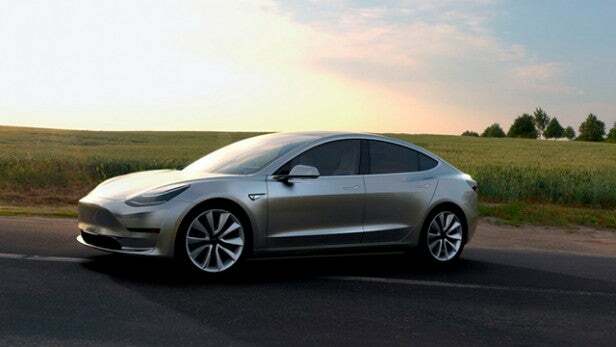 It’s been 10 years in the making, but Tesla has finally unveiled its first mainstream electric car, the Tesla Model 3. 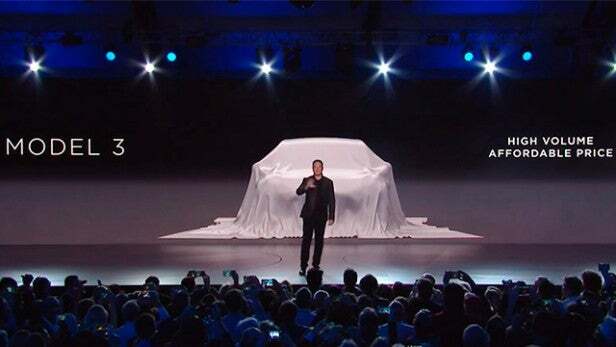 Tesla CEO Elon Musk took the wraps of his company’s new car at an event in California, where he made clear his hope that the Model 3 would bring electric cars to the masses. Considering the company posted a net loss of $889m (£620m) last year, investors will be hoping that Musk’s plans come to fruition. But what exactly makes the Tesla Model 3 the car to achieve such a feat? Elon Musk’s firm had great success with its Model S car, which became the best selling pure-electric vehicle in the world, despite Tesla’s financial woes. So, what makes the Model 3 different? There are still more features to be announced as the Model 3 release date comes closer. But in the mean time, we’ve rundown the five things you need to know about the Tesla Model 3 right now. One of the biggest announcements to come out of Tesla’s big reveal event was the Model 3’s price. At $35,000 (about £25,000) for the base level model, the new premium sedan is relatively affordable compared to other cars on the market. The Model S starts at $70,000 (around £49,000). If you fancy switching to an electric car and you think the Model 3 might just be the right way to do it, you’ll need to put $1,000 down as a deposit. Musk also announced at the event that more than 130,000 pre-orders have been made already, and was ‘reasonably confident’ that Model 3 deliveries would start towards the end of 2017. You can pre-order the Model 3 from several countries, including the US, UK, Ireland, Brazil, India, China and New Zealand. Tesla’s all electric experience doesn’t come at the expense of speed. The base level Model 3 manages 0-60 in less than six seconds, although other versions will apparently go ‘much faster’. The current Model S comes in a range of options, all of which will do 0-60 in less than six seconds, with the Performance versions managing an impressive 2.8 seconds. 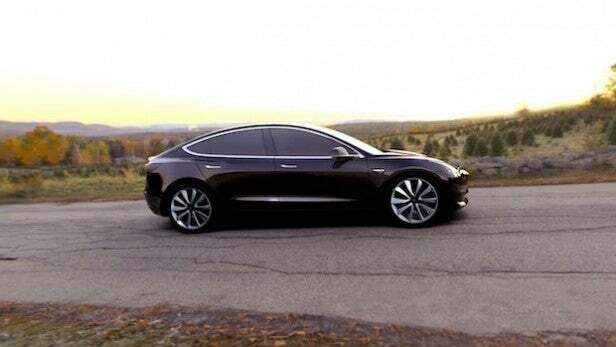 It’s likely the Model 3 will come in a similar range of models, although exactly what form those will take is yet to be confirmed. And if you’re concerned about safety, the Model 3 comes with a five-star safety rating in all categories. According to Tesla, that means the Model 3 will be the safest car in its class. Whereas the Model S takes you 275 to 315 miles on one charge, the Model 3 will only manage 215. That’s still respectable, especially considering the car also supports Tesla’s Supercharging. This charging network is comprised of a series of free-to-use high-speed charging stations ‘strategically placed’ near ‘restaurants, shopping centres, and Wi-Fi hot spots’ in America, Europe, and Asia. You can check out a map of charging station locations here, with Tesla saying that by the end of 2017, there will be 7,200 worldwide – double the amount in operation today. You may have seen some disconcerting YouTube videos showing the Tesla Model S veering into oncoming traffic thanks to an Autopilot seemingly bent on self-destruction. But those incidents happened largely because people were using the feature in situations where they shouldn’t have been. 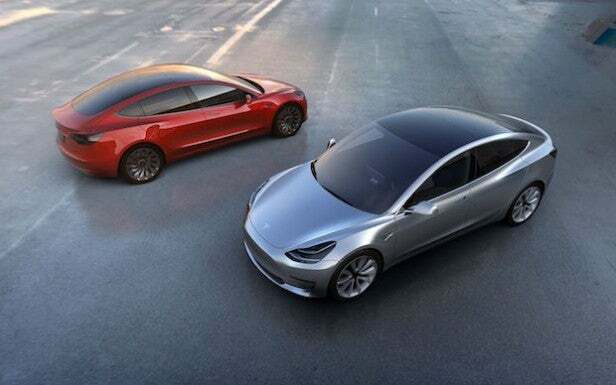 That’s reassuring considering Tesla has fitted the new Model 3 with the same Autopilot system – meaning the vehicle will be capable of steering itself and avoiding collisions. Autopilot comes as standard, so you won’t have to pay extra to get the feature. But, if you want what Tesla calls ‘convenience features’, essentially giving Autopilot cruise control and the ability to self-park, you will have to pay extra. At present those ‘convenience features’ cost an extra $3,000 (about £2,100) but it hasn’t been confirmed whether the price will be the same for the Model 3. Tesla’s latest design might just be its most refined yet. 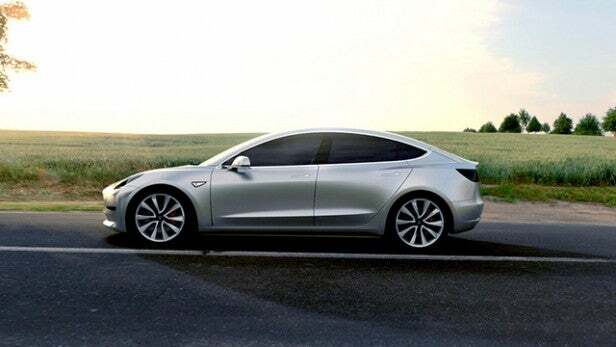 The Model 3 looks seriously futuristic, with an all-glass roof that stretches from the front windscreen to the back of the boot. The Model 3 will seat five people and has storage space at the front and rear, making for a sleek yet practical vehicle.